David Pogue of the NY Times is one of the most thoughtful reviewers of technology today. He’s known to be a big Apple fan and has not been kind to Microsoft products in the past but sees the Surface Pro as the first device to answer the question we all have on our way out the door each morning – “Hmm, should I take my laptop or my iPad?” an then we all take both. The Surface Pro will be available at Best Buy, Staples and Microsoft Stores on Feb 9th. 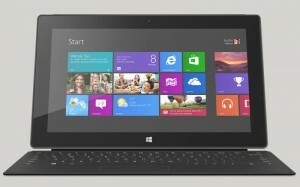 For the full preview of the Surface Pro visit David Pogue’s article here.